ICYMI: Watch Saskatoon brewery tours on CTV News. This weekend, Saskatoon brewery tours had a special guest from CTV News. Reporter Ashley Field joined the limo bus to get a first-hand look at the newest way to enjoy microbrew in the city. It’s incredible how fast an idea can become reality. Last June, I took part in a Vancouver Brewery Tour as part of a “Sunday Funday” networking event at a conference. The tour was so fun and interesting that I came back home inspired to start organizing ways for Saskatoonians to experience the city’s local food and drink scene. Do Sask focuses on highlighting fun things to do on a date in the city, and I want to give my followers real ways to connect with the community around them. Tours of Saskatoon’s local drink destinations seems like a good fit. Saskatoon Brewery Tours on CTV reinforces the fact that the idea is catching on. After doing some initial research on the craft brewing industry in the province last summer, I reached out to several brewers in Saskatoon. Lucky for you, they agreed to the opportunity! Do Sask Brewery Tours now has 8 stops available and new stops are coming soon. Microbreweries are popping up all over Saskatoon, but most aren’t within walking distance of each other. Saskatoon Brewery Tours connects you to 3 or more brew masters for a behind-the-scenes taste of their process. You also get safe and luxurious transportation to and from each stop, so you can sip responsibly while tasting a variety of samples. Huge thanks to customer, Jodie Olson, and her crew for being great sports! I also appreciate reporter Ashley Field taking the time to feature Saskatoon Brewery Tours on CTV. 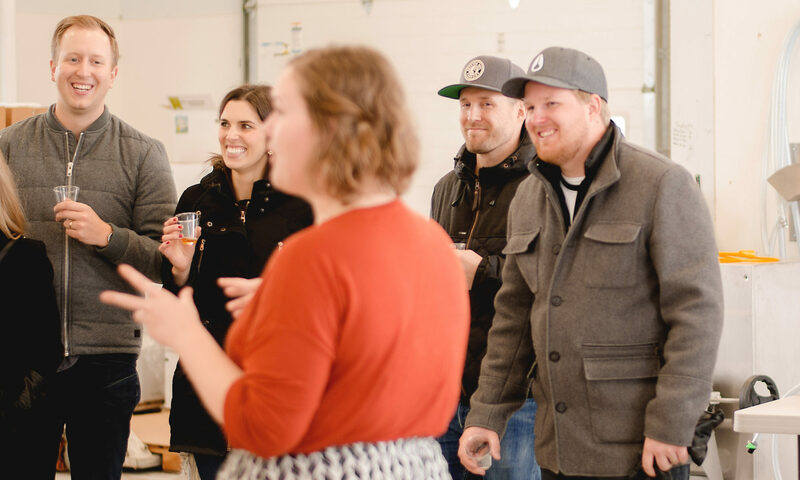 If you want to make a memorable impact at your next event, book a Saskatoon Brewery Tour. It’s perfect for team building, stags and stagettes, or a just-for-fun weekend outing.